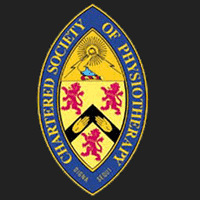 Physiotherapy is a health care profession concerned with human function and movement and maximising potential. It uses physical approaches to promote, maintain and restore physical, psychological and social well-being, taking account of variations in health status. It is science-based and committed to extending, applying, evaluating and reviewing the evidence that underpins and informs its practice and delivery. The exercise of clinical judgement and informed interpretation is at its core. What Does AlignClinics Physiotherapy Offer? The Clinical Specialists at Align Clinics have an excellent professional relationship with the Orthopaedic Consultants in and around the Cardiff area, throughout Bristol and Bath and up to Droitwich and Bromsgrove. Thus allowing excellent communication and seamless care to be provided from Consultant to Therapist in the provision of correct pre and post operative protocols for the clients individual needs. Align Clinics is fortunate to be situated within Vitality Health Club. This allows all of Align Clinics clients to have treatment within a clinic room as well as specific sport related rehabilitation within a gym environment in order to reach and surpass full recovery. Pre Operative and Post Operative Orthopaedic Physiotherapy Treatment. We aim to start treatment straight from the initial injury to prepare the client for surgery by explaining the orthopaedic procedure and what is it be expected of the client to gain the best possible outcome after surgery. Treatment is continued immediately post operatively and the correct advice, education, information and a specific strict exercise programme correlating to the clients individual operation is progressed through to full recovery. 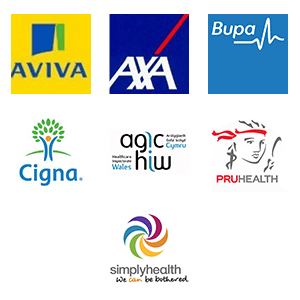 The Clinical Specialists at Align Clinics have had extensive experience in the initial assessment and diagnosis of symptoms, having worked alongside numerous consultants in their NHS and private clinics. A full subjective and Objective assessment will be undertaken and fully explained to the client. Any X ray or MRI scans will also be explained to the client. A diagnosis will be reached combining all of the information collected, concluding the site and structure of the primary injury and any secondary compensated symptoms. A Plan will be discussed with each individual client for the best possible treatment; these being a course of physiotherapy, a biomechanical assessment, provision of a brace or orthotics (insoles), referral to another Health Care Professional, referral to a specific Consultant or a combination of the above. The Clinical Specialists at Align Clinics have a wide knowledge of acute injury management in non sports and sports related activities. Our Physiotherapists have worked for Sports teams including Football Association of Wales and Warwick Rugby Team and have treated players from Sunderland Football Club and the Gwent Dragons. Our team is experienced in the treatment and management of injuries in the very early stages and pride themselves in being able to treat and rehabilitate clients as effectively and efficiently as possible, allowing them to safely return to their normal everyday activities in the shortest time. This process is enhanced by the availability of the facilities at the Gym in Vitality Health Club. Our Clinical Specialists treat each individual client holistically, working with them, identifying and prioritising their functional needs. We understand the importance of family help and support, therefore family and friends are also welcome to the treatment sessions to provide physical and emotional support and to assist in rehabilitation (should it be required). All of the Clinical Specialists at Align Clinics are members of the MLACP (Medico – Legal Association of Chartered Physiotherapists). Working with Personal Injury Solicitors in providing a full report of a clients injury and the impact the injury has on the clients everyday life at present and in the future. The report includes all intricate details of specific muscle activity, strength, length, joint range of movements, proprioception, balance and functional ability. Our Clinical Specialists have experience in attending court and giving evidence based testimonies as expert witnesses.